The PASTIC Sub Center, Quetta arranged a one day seminar on PASTIC activities at the Department of Zoology, University of Balochistan, Quetta on August 04, 2017. Mr. Faisal Hilal, Asstt. Documentation Officer, PASTIC, delivered a presentation on PASTIC Information Services to the students, researchers and faculty members of the department. The PASTIC Sub Center, Quetta arranged a one day seminar on PASTIC activities at Department of Biochemistry, University of Balochistan, Quetta on August 24, 2017. Mr. Faisal Hilal, Asstt. Documentation Officer, PASTIC, delivered a presentation on PASTIC Information Services during this seminar. The PASTIC Sub Center, Karachi arranged a one day seminar on PASTIC services at Jinnah University for women, Karchi on August 21, 2017. 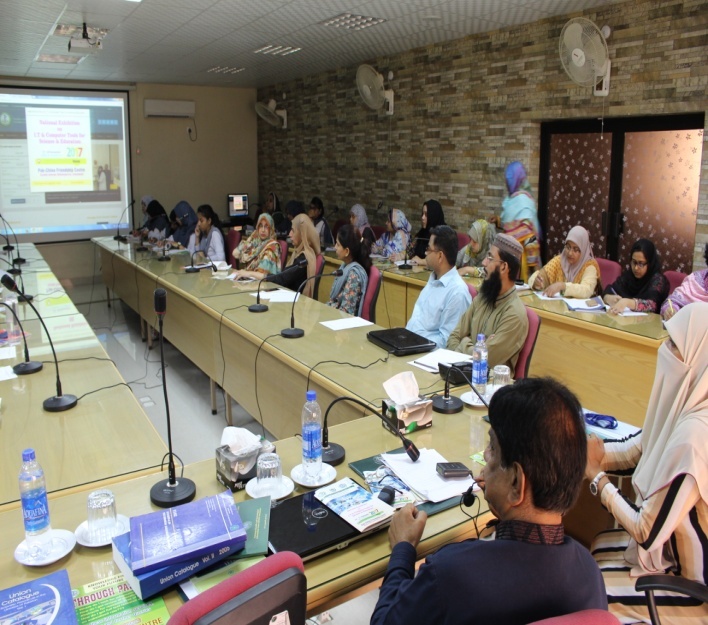 During the seminar, Mr. Abdul Fateh Shaikh, Deputy Director (STI), PASTIC Sub Center, Karachi delivered a presentation on PASTIC Information Services to the students, researchers and faculty members. More than 50 faculty members and researchers attended the seminar. PASTIC is organizing a “National Exhibition on IT & Computer Tools for Science & Education -2017” from November 17-19, 2017 at the Pak-China Friendship Center, Islamabad. PASTIC Sub-Centre, Peshawar is organizing a Conference on “Computational Biology & Genomics” at Hazara University, Mansehra on September 27-29, 2017.